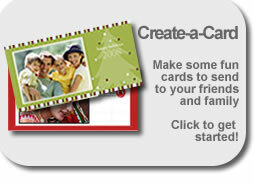 You can share any ScanMyPhotos.com PhotoCentral album to a family member or friend with your customized message. PhotoCentral even features an Address Book where you can define groups like My Friends, My Family, Baseball Mothers, etc… – you can share to everyone in any group with a single click. 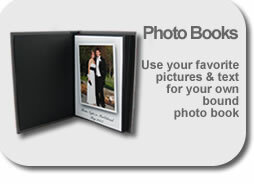 Design your own photo albums, greeting cards and more online and have ScanMyPhotos.com produce it for you with same business day return. Click here to view a sample photo album. Click here to begin. Album owners and their share recipients can add a running commentary to any photo in an album. We call them Yaks. And anytime a yak has been added to a photo, the owner and last yakker get notified by email. The recipient clicks a link in the email and gets sent directly to the yakked photo in from the ScanMyPhotos.com PhotoCentral pro lab service. Click here to begin. You can specify the caption, people, event, date, place, and even rate your online photos. We call this photo tagging. And you can search your albums and albums shared to you for matches to these tags. The ScanMyPhotos.com PhotoCentral service will display the found photos in a custom view – you can even save this view to a new album. And share it! Click here to begin.